RainDesktop allows you to create and display customizable live themes on your desktop with build-in WYSIWYG visual designer, from system and weather information to audio visualizers. You are only limited by your imagination and creativity. Mixed (17) - 64% of the 17 user reviews for this software are positive. “The community will help shaping RainDesktop through the Steam Forums and built-in feedback methods in the application. The future of RainDesktop will add more meters/measures for live desktop theme. Fixed the right click menu postion when uses multi-monitor. Thanks for "Angelovery" feedback and help test. Build-in WYSIWYG visual designer makes it easy to create live themes for your desktop. 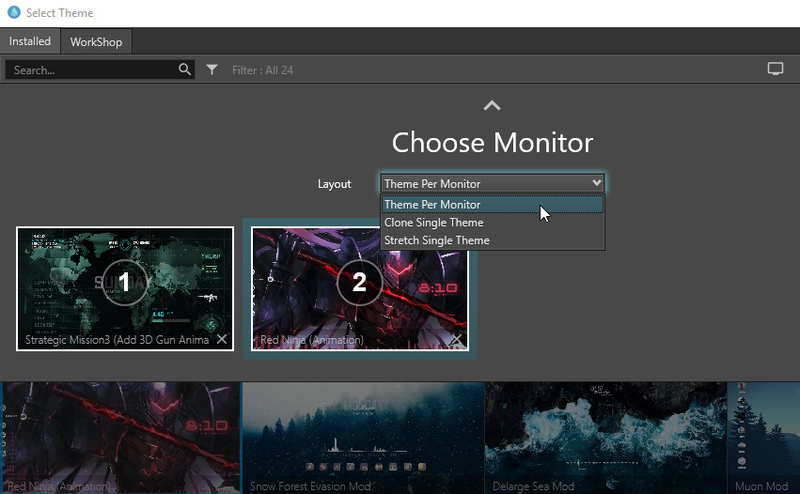 Build-in Steam Workshop makes it easy to download and share desktop live themes with just One-Click. Desktop live theme animation will pause while playing games or running full screen application. Q: What is the difference between RainDesktop and Rainmeter? Q: Does RainWallpaper support be used with Wallpaper Engine? A: No, But RainDesktop also support set the wallpaper engine's video and web kind wallpapers as desktop theme animation background(live wallpaper),just tray icon click "edit theme" and select background kind "video/webpage" and select a video/webpage file.